The Department of Labor (DOL) has launched what it’s calling the Office of Compliance Initiatives (OCI). 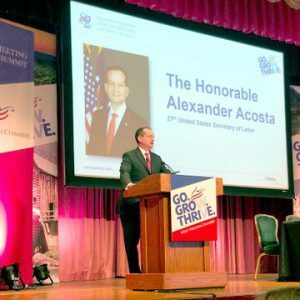 Coordinated by the Office of the Assistant Secretary for Policy, this cross-agency effort aims to complement the department’s enforcement activities by strengthening and innovating compliance assistance outreach, according to the agency. Part of this initiative is the launch of worker.gov and employer.gov, two websites with resources to assess compliance with the law. OCI will promote greater understanding of federal labor laws and regulations, allowing job creators to prevent violations and protect Americans’ wages, workplace safety and health, retirement security, and other rights and benefits, according to the announcement of its opening. As part of its work, OCI will work with the enforcement agencies to refine their metrics to ensure the efficacy of the department’s compliance assistance activities. OCI will also focus on helping enforcement agencies more effectively use online resources to deliver information and compliance assistance to the American people. The two new websites are designed to assist workers and job creators who have compliance questions. Worker.gov provides a centralized base of information focused on federal worker protections. Employer.gov provides job creators easy-to-understand information about their responsibilities under federal laws and regulations. The department said it expects more effective compliance assistance will help the department target enforcement resources on repeat and willful violators to level the playing field for America’s job creators who abide by the law.